Project Reveal Part 2: Timeless Beauty! It’s time to share Part 2 of our Timeless Beauty Project. Sometimes, we find our favorites spaces outside the main living areas. These are the spaces that work hard and make daily living better. 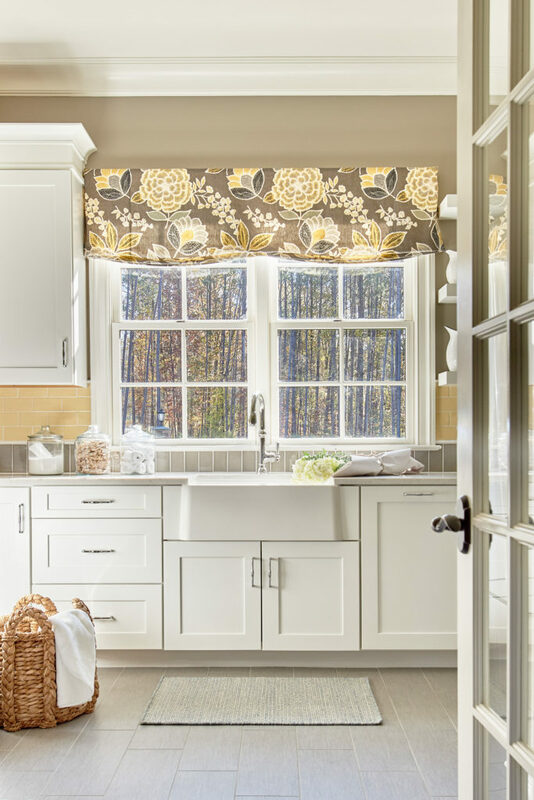 The laundry room was an important feature of this home. Our client presented a beautiful inspiration photo and requested that we create a bright and happy place with function a top priority. One of the most private spaces in a home is the master suite. The soft colors in this bedroom strike just the perfect note for a calm retreat, while the beautiful windows let the sunshine in. What a beautiful way to wake up! We designed the study to be multi-functional as a library and music room. 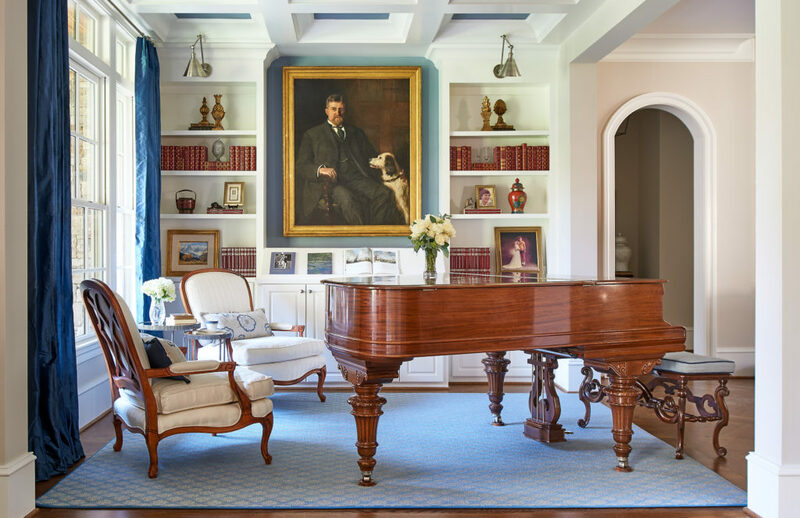 A family portrait anchors the space along with the gorgeous piano! 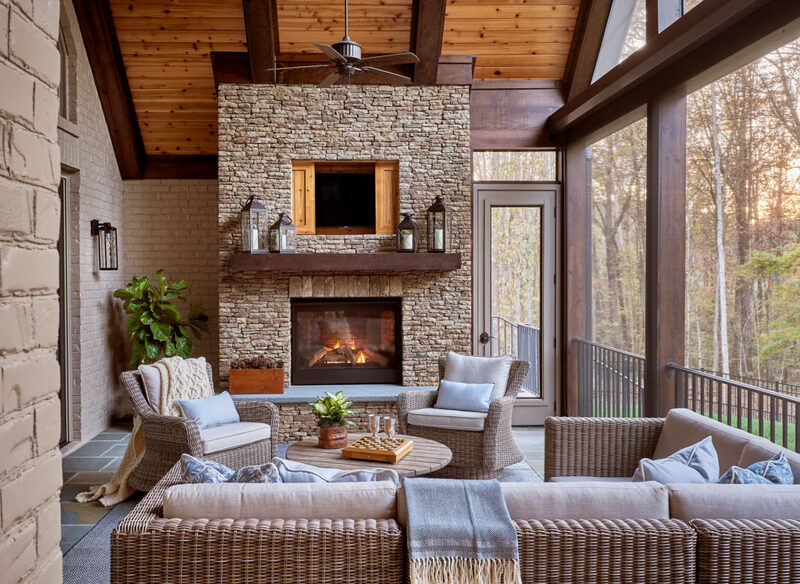 And at the end of the day, this porch really has it all – everything you need for a game night with a crowd, or a cozy evening on your own, gazing out on the hot tub and the beautiful view. We just know that this outdoor grill and dining area will get a tremendous amount of use! The liner chandelier anchors the space and brings casual dining to an entirely new level. Who ever said that traditional design has to be boring? We have no doubt that our Timeless Beauty project will be enjoyed for many years to come! Leave a Comment Comments Off on Project Reveal Part 2: Timeless Beauty!